The bursary and sponsorship grants detailed here are most commonly open to individuals, whether children or adults, elite athletes or underprivileged. Whether you're buying new kit, paying for overnight accommodation ahead of a big competition or stocking up on groceries to fuel your 'big game' performance, easyfundraising provides a simple, hassle-free way to give your funds a BOOST when you and your supporters shop online. With 'Raise your Game' from easyfundraising, your top supporters can help you achieve your sporting ambitions, simply by shopping online. Your family and friends can collect free donations for you from over 3,300 online retailers including; Trainline, Booking.com, Amazon, John Lewis, Argos, Tesco, Aviva and thousands more. Simply register yourself as a good cause then share your fundraising page with family and friends and ask them to sign up to support you when they shop online – as it's free, how could they say no? There are lots of free resources available on your easyfundraising account page to help you get your family and friends behind you too and you'll soon see your funds begin to grow! Click here to see how you can register. Please note, The Joanna Brown Trust will not award grants for travel and/or accommodation costs. Also, note that The Joanna Brown Trust receives a large number of requests for funding. Check their website for the next deadline. You can expect to hear if you applications has been successful or not within 3 weeks of this date. All applications must be sent to info@thejoannabrowntrust.org. The Rob George Foundation became established in January 2014 to provide bursary grants. The Foundation, among other things, provides financial support to young people who demonstrate exceptional commitment and/or ability in the world of sport but may be held back by their financial situation from pursuing their goals. Bursaries can be up to £3,000, but, in exceptional circumstances, more could be made available. The Dickie Bird Foundation offers grants to children under 16 years of age to participate in the sport of their choice, to the best of their ability, irrespective of their background, social circumstances, culture or ethnicity and to ensure that, in doing so, they improve their chances both inside and outside sport. Children who, through no fault of their own, are disadvantaged, underprivileged, due to the financial situation of their family/guardians or carers are unable to follow or continue in the sport of their choice, can get help. Grants are to help with the cost of clothing and equipment including bats, racquets, fencing swords, protective items etc for them to take part or continue in their chosen sport. For more information call 07949 814222 or follow the link above. Grants of up to £500 are available for young people aged 11 to 25 years for a range of activities including sporting excellence and for activities that build character, develop or improve skills and demonstrate a commitment to the community. Applicants must live in South West Derbyshire or Duffield (eligibility is determined by postcode – a list is available on the John Weston Charitable Trust website). The fund is administered by the Foundation Derbyshire and the grant making decisions are made by a panel of advisers. The Talented Athletes Scholarship Scheme (TASS) provides athletes with a tailored package of services worth up to £3,500 in value. These may include coaching, strength and conditioning, lifestyle support, physiology and sports medicine. TASS support over 350 athletes aged over 16 years who are currently in education whilst competing at England Talent level in their sport. Sport England TASS awards are annual and run from 1st October to 30th September. Nominations are made by the individual sporting national governing bodies and the core services are delivered at TASS Accredited Centres in England. 25 different sports are covered by the scheme. Young athletes, both able-bodied and those with a disability, are nominated to SportsAid for financial support by their sport's own national governing body (NGB). At the 2008 Olympics in Beijing, 18 of Britain's 19 gold medals were won in events that involved SportsAid athletes. SportsAid awards are generally given to athletes between the ages of 12 and 18 (older for athletes with a disability) who compete in approximately 68 different sports, including disability disciplines. SportsAid awards help athletes with essential costs such as travel, training, accommodation, competition fees and equipment. To find out if you could qualify for a SportsAid award, visit the SportsAid website or contact your sport's National Governing Body (NGB) directly. 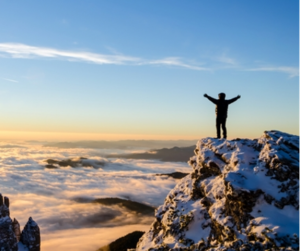 The BMC list a wide range of organisations, Trusts, commercial companies and charities that are able to provide funding support for mountaineering trips. Be sure to check out each organisation's awarding criteria carefully before making an application to avoid disappointment. Everyone Active's Sporting Champions scheme was launched in 2016, with the aim of providing ongoing support for talented athletes across the UK. Through their work with local authorities across the country, they have already supported more than 500 athletes with over £1million worth of sponsorship over the past four years. 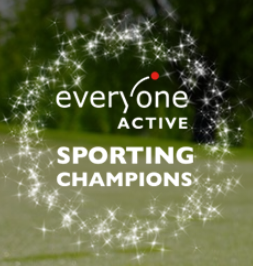 Everyone Active's Sporting Champions aims to continue our support for athletes by offering both monetary funding and access to Everyone Active's 150 leisure centres across the country. If you're a UK athlete who is looking to achieve your full potential with a little support, they'd love to hear from you.